(August 22, 2018) - In response to today’s rapidly changing world, education must be ready to adapt in order to prepare students for a world beyond the classroom. Education is simply not the same as it was 30 years ago, or even 10 years ago, and to help our children succeed, that change is both necessary and positive. Education today encompasses more curriculum than ever before, and the need for hands-on, critical thinking learning opportunities is essential. As a school district, it is our responsibility to provide all of our students with instruction and experiences that will prepare them with the 21st Century skills necessary to be college and career ready, and be successful in our ever changing world. New York State recently issued requirements to develop an instructional technology plan starting with the 2018-19 school year. Through this plan, the district has a responsibility to provide technology-enhanced, culturally and linguistically-responsive education to support improved digital teaching and learning. In addition, the district is responsible for increasing equitable access to high-quality digital resources and standards-based, technology-rich learning experiences. 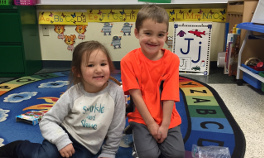 In order to meet the needs of our students as outlined by these standards and expectations, it is necessary for the school district to implement a new special area structure for all elementary students. In the new special area rotation, elementary students will continue to receive general music and art instruction, as well as instruction that blends literacy, technology enrichment, and STREAM (Science Technology Research Engineering Art Music) instruction for a total of 90 days of special area learning. 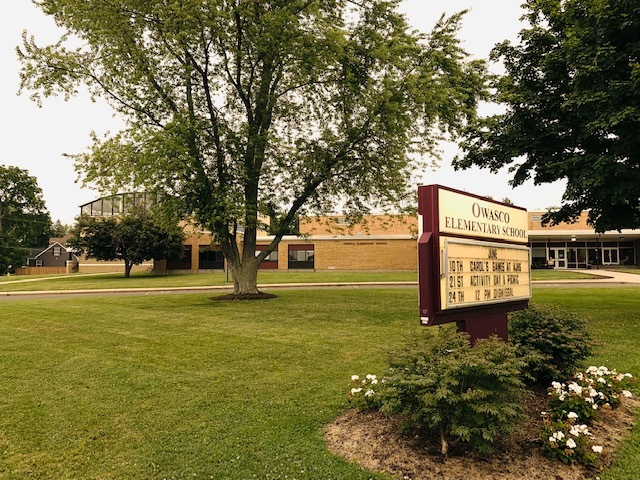 Students will continue to receive physical education instruction every other day as required by New York State, and current band, string, and choral programs will be unaffected. As part of the STREAM instruction, a K-6 Innovation Lab curriculum will be built into the special area rotation. Within the Innovation Lab, technology instruction will be used to enhance both the art and music curriculum through interdisciplinary design projects, coding for music composition, and STREAM experiments that connect students with the books they are reading in class. As a district, we will be preparing our students for future careers that we cannot even imagine today. 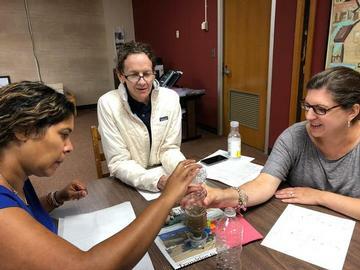 The best preparation for these careers is to ensure that students across our five elementary schools have equitable access to rich learning experiences where they are afforded the opportunity to develop problem-solving, inquiry, and computational thinking skills. Experiences that involve the informed design process encourage our children to create, perform, present, embed low and high-tech resources, and most of all collaborate; preparing all of Auburn’s students for those future expectations and the jobs of the future. Through this new rotation schedule, all of our students will now be provided with the access to gain additional skills such as sketching, prototyping, keyboarding and so much more, in an effort to better prepare them for the jobs of tomorrow. The district would be remiss if it did not offer these opportunities to all of our students throughout the district. Additionally, the Innovation Labs being placed at the elementary schools will incorporate the use of Makerspaces, which are areas that allow a student the freedom to develop an idea and see it through from start to finish. The Makerspace movement has gained a great deal of popularity nationwide as not only an enjoyable extracurricular activity, but as a powerful educational tool. For example, in another area school district, a student developed an idea to create a special keychain. This student was then able to go into their school’s Makerspace, sketch out the idea, design the item through the use of computer aided design software, print a prototype on a 3D printer, and produce a product which they were then able to market to other students by selling it in the school’s store, providing funding for future projects. By expanding our curriculum, all of our students will be able to develop critical college and career readiness skills, as well as be able to more regularly enjoy the new opportunities that an Innovation Lab can offer. Embedding digital learning and STEAM instruction at all five elementary schools in grades K-6 will ensure equitable learning opportunities for all and set our students up for success in high school, college, and beyond.